The weather is getting Baltic, the nights are drawing in, Christmas cards are nearly on the shelves; there’s only one thing left to get us into the winter spirit: the food. So, whilst you’re curled up in your room, onesie on and blanket wrapped round your shoulders, the best thing for ultimate cosiness is some nice winter food. Here are some ideas to keep you nice and cosy on campus this winter! An absolute staple come winter, pumpkin soup is not only absolutely delicious, but practical too. Once Halloween is over, there’s so much left over pumpkin that it would seem a shame to throw it all in the bin. It’s a hidden gem of foods, so just give it a go and I guarantee you’ll love it. For 500g of pumpkin, use 120g of peeled and cubed potatoes and 1 onion. Boil these until they are nice and soft and then drain them off. Add vegetable stock and re-boil. Add chilli flakes or powder, as much or as little as you want. Pour in some cream (this is optional, but for me, it’s essential!) and blitz it down until all of the lumps are gone. Also, just because Halloween is over, doesn’t mean you can’t grab a fresh pumpkin from the shop, and if you do that, collect the seeds, wash them off, and season them. Pop them in the oven and roast them. It’s a delicious and healthy snack. 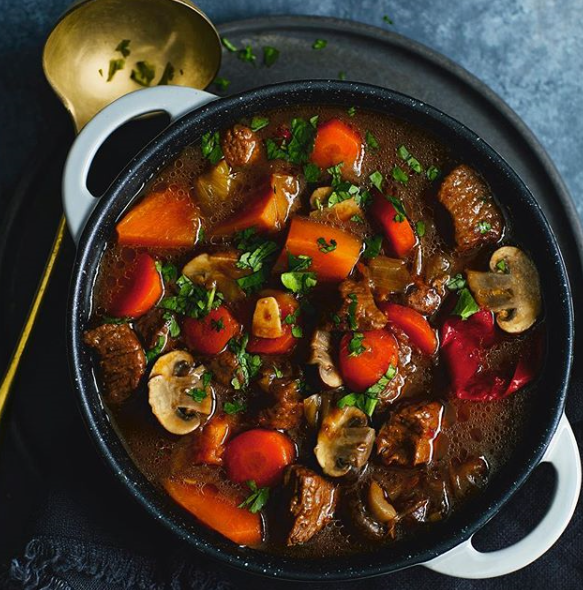 If you are lucky enough to own a slow cooker, this is possibly the easiest meal that you can make which will warm your stomach and make you feel at home. It’s so simple that I can’t give you a list of comprehensive ingredients, other than stock! Generally, I use beef stock, but use whatever stock best corresponds with whatever you want to throw in. If you choose to use meat, brown it off in a pan first, pop it into the slow cooker and fill it up with stock. Chop up and put in any other veggies you might have in your fridge or cupboards, and let it cook on low for a couple of hours until everything is soft enough to eat. Simple, and delicious. 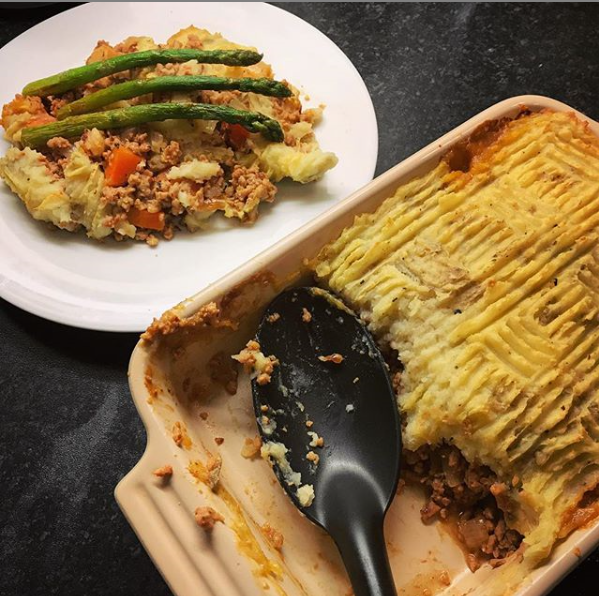 Simple and tasty, cottage pie is probably the meal of the season for me. Whether you use beef mince, lamb mince or a veggie alternative, it’s a guaranteed winner in your flat! Cook your mince initially with garlic (as much or as little as you want); once that’s browned, throw in some chopped vegetables, carrots, celery and onions. (These are traditional ingredients, but anything goes). Add a pinch of plain flour and some tomato puree and fry it for a few more minutes. Add stock, whatever herbs you fancy, and let it let it simmer until the gravy is thick. Season well. Make a mash potato (plenty of milk and butter – and I love to add a bit of cheese too!). In a roasting dish, pour in the gravy mixture, and cover with the mash. (This is the point when I add extra cheese, but that’s up to you!) Cook it in the oven with foil over the top, and once it’s warmed through, take the foil off and brown the top. Taa daa, beauty in a dish!